Take the A51 motorway from Aix-en-Provence and work your way northeast to the charming spa town of Digne-les-Bains in the Alpes-de-Haute-Provence region. 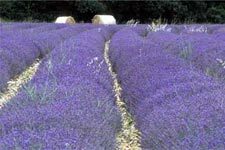 Here, during the first week of August, the local lavender harvest is celebrated annually in a colorful festival half-a-century old, the Lavender Festival (Corso de la Lavande). It is the premier local event devoted to this abundant crop, the rural treasure that colors the plains of the area as far as the eye can see. The town comes alive as parades with elaborate floats and presentations of folklore culminate in a grand bal over the course of the four-day event. 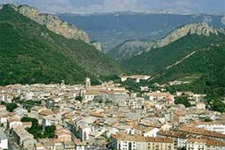 Digne-les-Bains, as its name would suggest, is known for its thermal hot springs and has been a mecca for holistic cure-seekers since Roman times. It enjoys a wonderful setting on the Bléone river surrounded by forested mountains, and is unique in a way because of its dramatic location at the transition between the French Alps and the purple plains of Provence. It is the capital of the region and, of more importance to many, the self-styled "capitale de la lavande." The lavender festival is a significant colorful local affair, and it is also a wonderful excuse to visit one of the more visually striking regions of Provence and to enjoy Digne’s considerable variety of art museums, architecture and botanical gardens. It is a worthwhile road trip. For information contact Comité des fétes à Digne-les-Bains, Office de Tourisme de Digne-les-Bains, Place du Tampinet, 04000 Digne-les-Bain; tel +33 (0)4 92 36 62 62; fax +33 (0)4 92 32 27 24. On the Internet visit www.ot-dignelesbains.fr, or try www.beyond.fr.